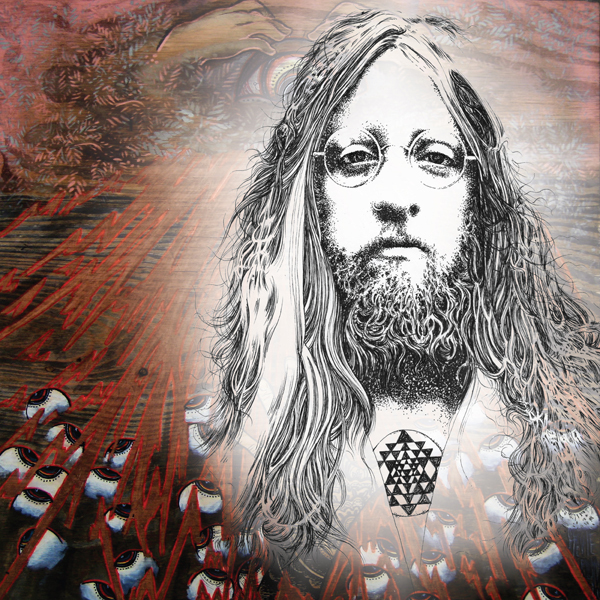 "Debut solo album from YOB vocalist and guitarist Mike Scheidt. ‘Stay Awake’ was recorded in Seattle by Sub Pop legend Tad Doyle. During a personally turbulent, transitional time, Mike turned to his guitar and subsequently penned a collection of simple and potent tunes. The process of removing that veil and presenting himself unprotected was a frightening challenge and a rewarding one. The lyrics, according to Scheidt, are based on “the present moment, hope, love and redemption. The big picture caught in a snapshot, looking at fear and doubt squarely, and making friends with them. My words are sympathetic / empathetic to sadness and heartbreak, while exploring transcendental themes in the same breath.” The music combines elements of folk (both Western and Eastern) with epic arrangements and the dramatic emotions, the latter being hallmarks of classic rock ballads."